Ecological Design's independent consultants provide cost-effective advice on sustainable solutions. Whether you need a BASIX consultant for a new block of units or advice on a solar power system for a home, Ecological Design has the skills, knowledge and experience to guide you to the best outcome. "I am very pleased with the quality & detail of the energy analysis Ecological Design provides. It is a clear & definitive toolset I draw upon regularly to assist me in the refinement of energy efficiency of a design. John is always prompt, personable & efficient & provides detailed information on which to found good design decisions. I thoroughly recommend Ecological Design's analysis service." BASIX is the NSW legislation setting minimum standards for energy and water efficiency for new homes as well as alterations and additions. A BASIX certificate is prepared by creating an online project and entering the design details relating to energy and water use. Architects and designers make use of our knowledge and experience to prepare and optimise the BASIX for their projects. A NatHERS home energy rating can be used to satisfy the Thermal Comfort section of BASIX or the BCA. NatHERS, the Nationwide House Energy Rating Scheme sets out how the assessments of home designs are to be conducted. Our Home Energy Rating service provides more than just a rating. We give detailed feedback and advice to ensure the most sustainable design is achieved which is both buildable and affordable. A Section J Compliance Report assesses the energy efficiency requirements of the NCC (National Construction Code) for non-residential and class 3 residential building developments. In our reports, we strive to find solutions which minimise cost and maximise design flexibility. For larger more complex designs or in cold climates, we use the JV3 comparison with a reference building method to achieve better specifications. 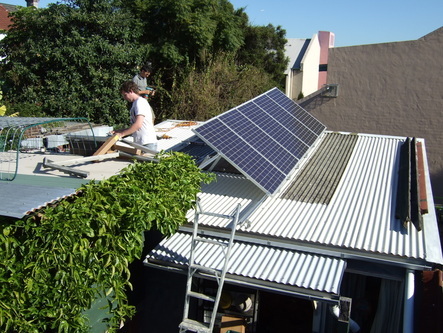 Grid-connected rooftop solar power systems have revolutionized the way electricity is produced in Australia. A new solar power system can be a great investment but the lower price paid for power fed back to the grid means more care is needed with the design to ensure the installation provides a good return on the investment. 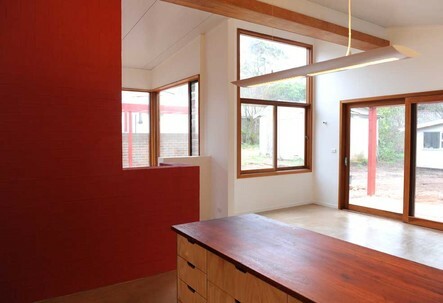 Ecological Design is independent as we do not sell any product and receive no commissions. Our assessments offer clear advice about the choice and design of a solar power system best suited to your needs. There are often easy savings to be made that will avoid unnecessary gas and electricity usage. Here we outline some simple inexpensive DIY measures you can take to reduce the energy usage at home. Ecological Design offers a complete Solar Power Consultation. We do the measuring, monitoring (if required) and financial modelling using sophisticated tools to compare and select the best solar power system for your needs.